Do you pay attention to every detail? Do you easily strike up conversations wherever you go? Do you come up with quick solutions? Do you think, you manage time well? Do you love the glitz and glam of a wedding? If your answer has been YES all along. Then wedding planning is definitely the right career for you. Weddings always bring happiness in a family. They scream ‘fun’. If you love all things ‘wedding’, then you will love being a Wedding Planner. Being passionate and committed will make you thrive in this rapidly growing field. Possessing a creative mind benefits you more. Using your wits, charm and thinking on your feet will help you solve problems quickly. Understanding and patience are key traits. Staying “bindass” or chill always helps calm your client’s nerves. If you can talk your way through anything, then you already have good negotiating skills. Above all, keeping with the latest trends are essential. For the lucky ones, most of these character traits come naturally. But for the rest of us, these are skills a planner learns over time. Planning a wedding is what every little girl dreams of! Weddings are like fairy tales, turning reality into magic. Now who doesn’t smile at the mere mention of the word ‘Wedding’. Weddings are a sacred union of two people beginning their journey of life together. It is one of the most important celebrations in an individual’s life. 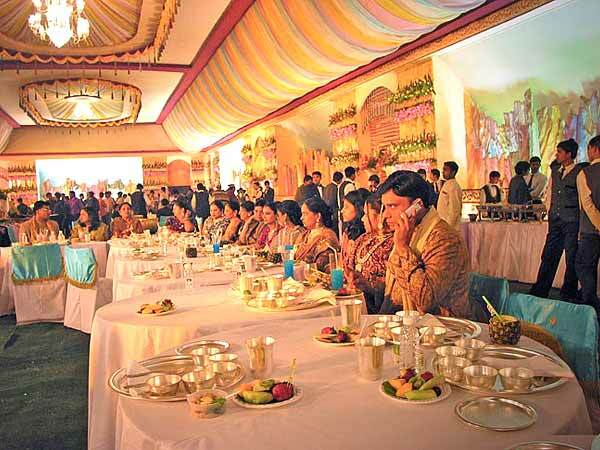 We, in India, are famous for our ‘Big Fat Indian Weddings’. Indian weddings are in a league of their own… magnificent and filled with grandeur. It follows the ancient practices, rituals and ceremonies. Indian weddings are often never complete in one day. They usually last from 3 days to a week. Sometimes even up to 10 days! What’s a simple way to define Indian weddings? They are long, joyous occasions filled with celebrations and ceremonies. A person or company, whose job is to organise weddings for other people. A professional, who helps with designing, planning and managing a wedding for a client. Using a wedding planner gives the bridal party, a sense of relief. It helps them focus on the wedding without stressing and performing the actual work. Clients spend a lot of money to ensure weddings are organised to perfection. Simply put, the wedding planner acts as a middleman between the Vendors and the Client. A planner is responsible in making sure the client’s wishes are fulfilled and guests have a gala time. Planning a wedding is not easy because things change with every couple and family. Each family, culture and religion have their own set of rituals. India being home to diverse cultures, hosts weddings with varied ceremonies. But this is what makes the wedding planning profession so attractive. Following is a list of responsibilities and roles of a wedding planner. During this consultation, the wedding planner understands the clients’ requirements. The client can be the bride, the bride’s parents, the groom or the groom’s parents. It can also be a combination of them. Mostly, the client is often the bride and her word is taken over the rest. Upon the first meeting, the planner is expected to explain the packages they offer. A package is modified to service each client better because their needs differ. On appointing the wedding planner, the work begins. Everything comes down to the budget the client is willing to spend. During initial discussions, the planner acquires an approved budget. The budget decides the venue and the vendors. But when the bride and groom get more involved in their wedding plans, the budget changes. Usually for the better! Finalising a venue is the most complicated job a wedding planner has. 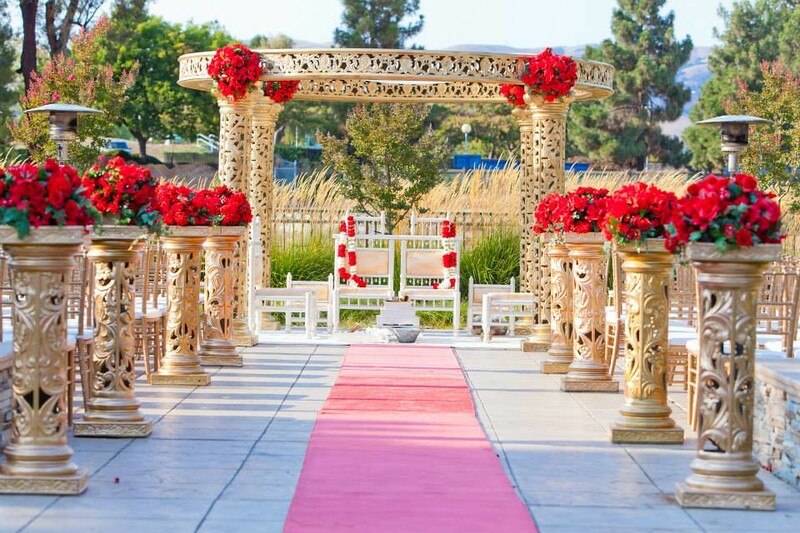 The types of venues may be hall or choultry wedding, resort wedding and destination wedding. The client chooses one option. The planner needs to make sure it fits within the approved budget. Further researching and suggesting options accordingly. Each venue’s rates vary according to food, beverage, tax, tips, service charges… It makes a big difference to check if a particular venue is available before proposing it to the client. This way, the planner can rule out a venue, if unavailable. Venues usually are the greatest expense. The planner needs to block the date at the venue or venues. This depends on whether the client has chosen different venues for different ceremonies. The main task at hand is to quickly convince the client to make a deposit before it gets booked by someone else. Vendors mean photographers, videographers, florists, caterers, DJs or bands, decor specialists… Like how good venues are booked a year in advance, good vendors are hired swiftly too. The planner should keep in mind the client’s schedule and personality. This ensures that the meeting between the vendors and the client go smoothly. Give the client enough time to make a decision on each category before moving to the next. If it is a destination wedding, then it is better to line up the meetings in one day. This saves the client many trips to finalise things. With all the extravaganza and glamour going on around, the Bride is still the centre of attention. The Bridal Saree or Lehenga is carefully chosen or designed to make the bride shine on her “Big Day”. The wedding planner suggests a few good designers for the client to choose. The designer, then creates, an entire wardrobe for the different ceremonies. The bride, the groom, their parents and their siblings attire are all designed in-time. The planner books the bridal salon in advance. Hair, makeup and that perfect bridal glow are taken care of by specialists. Each region in India have their own set of customs when it comes to jewellery and accessories. Keeping this in mind, jewellers are suggested by the planner. The bridal party can then choose the perfect designs to match their various outfits. The list is not complete with just the venue, vendors and bridal party’s attire. The client also requires help with the rest. The planner’s opinion is required on the wedding cake, themed-decor, bride’s bouquet, buffet options, return gift ideas… Suggesting the best wedding invitation according to the colour coordinated theme is advisable. Advance booking of hotel rooms close to the venue is mandatory. This ensures guests travelling from around the globe have a comfortable stay. The planner needs to arrange for buses, cars or vans to shuttle guests “to and fro” venues and their hotel rooms. Even if your client doesn’t need help with every detail, the planner should still keep an eye on everything. And ensure it is ready ahead of schedule. India is such a diverse country. It is home to a variety of cultures and ceremonies. Some common wedding related functions spanning different cultures and faiths are listed below. The wedding fever starts with the engagement ceremony. The families of the bride and groom confirm the union of the couple. They further celebrate it to mark the occasion. With the changing times, brides opt for a pre-engagement mehendi ceremony too. This definitely makes the wedding planner happy! This ceremony is also called as tel bann, pithi, gaye holud or ubtan in different regions across India. But the significance of the ceremony remains the same. Close friends and family take turns applying turmeric paste on the bride and groom. This ritual is done for beautification and blessings. As mentioned, each family tradition differs from another. And depending on their tradition, this ceremony is held either together or separately. Each family has their own recipe of the paste. The planner needs to make sure the paste is made to their specifications. Decorating the venue with yellow and orange flowers are the norm. The planner also arranges for good music, a sumptuous food spread and beverages. This will certainly keep the guests happy and entertained. The Mehendi or Henna function is another traditional pre wedding ceremony. It is usually organised by the bride’s family. A women centric ceremony held the day before the wedding, in the morning. Women close to the bride attend this ceremony. They are adorned with intricate designs on their hands and feet by mehendi artists. The planner’s job is to remind the women to wear short sleeves or sleeveless, light clothing for the day. The planner buys a lot of henna cones and hires many professional henna artists. Saving the best henna artist for the bride is the main duty of the planner. The Sangeet is a common tradition in north Indian weddings. The sky is the limit when it comes to planning the Sangeet. It is definitely the wedding planners place to show creativity. Nowadays, sangeet comes with choreographers to organise the dance routines. Depending on the budget, famous singers are surprisingly hired to sing melodious tunes. The wedding planner looks after everything. From the venue, choreographer, photographer, videographer, to the themed decor such as Bollywood night or Casino night… Sometimes the planner even arranges for celebrities to bring life to the party. *Attention to detail is crucial for decor. On the day of the wedding, the planner arrives at the venue much earlier. The planner supervises all the vendors setting-up. This gives the planner time to clear any last-minute doubts the vendors have. Before the show begins, special attention is given to the mandap. The priest, bride, groom and their respective parents sit beneath this mandap. A mandap is like a canopy. This is where the actual ceremony takes place. The planner ensures that every person in the wedding party fulfil their responsibilities. Most importantly, all the guests are treated well. The planner’s job is not done even when the guests and the couple exit! The planner needs to make certain all the wedding gifts are packed and loaded into a van or into a designated room. The planner also must check the venue to make sure no guests have left behind any belongings. With this list, you can see the challenges a wedding planner faces. But it also showcases an array of work opportunities. As a planner becomes more experienced and skilled with every job, the reward is truly immense. Do you need a Degree to be a Wedding Planner? You don’t need to go to college to become a wedding planner. Most people realise they have what it takes to be a wedding planner once they have managed a friend or relative’s wedding. But a Class 12 pass can opt to pursue a degree in event management which will be vital. You can also do an online Certified course on Wedding Planning. There are a few academies and colleges who offer this course. The other option is to join any professional wedding planner as a trainee and learn the ropes. This will give you the exposure and experience required to jumpstart your career. 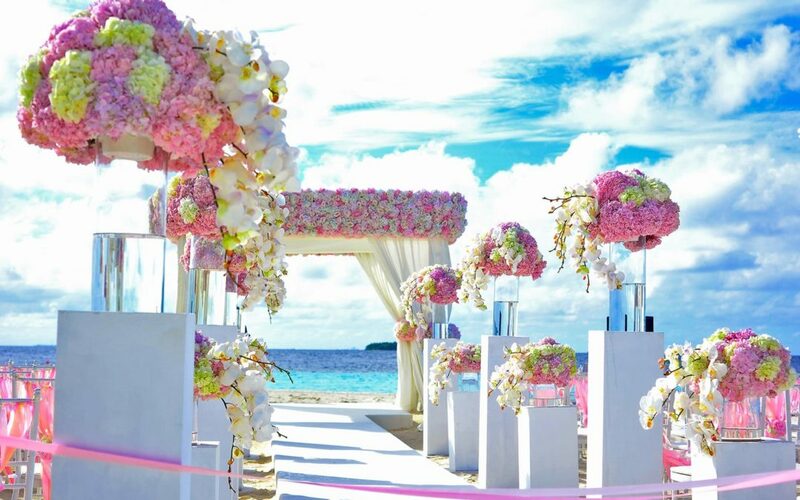 You can choose to be an employee of an event management or wedding planner firm. Self employment is another lucrative option. How Good are the Job Opportunities? About 20% of the Indian population are considered to be between the ages of 22 – 25 years. There are over 10 million weddings taking place in India every year. Currently the field is worth over 2200 crores and growing at 30% every year. “Marriages are made in heaven” is a famous idiom. But the perfect wedding planner is what makes marriages feel like heaven on earth… Turning reality into magic. Now, don’t you think Wedding Planning is Your Career?? ?